What disappointed you about Empires and Barbarians ? Heather's previous book was great. This offers more convoluted expositions of his theses, which necessitate careful listening to discern and understand (and I had to buy the print edition to REALLY follow it.) The narrator has NO clue as to pronounce these admittedly complex names for the various peoples of central and eastern Europe in the first millennium CE. However, even current place names evade his comprehension. Sevastopol is pronounced sev-as-TO-pol instead of the more common se-VAST-o-pol. I'm really surprised he did not have more guidance provided to him in preparing and delivering his performance. Anyway, it makes Heather's points HARDER to understand rather than elucidating them. Would you recommend Empires and Barbarians to your friends? Why or why not? 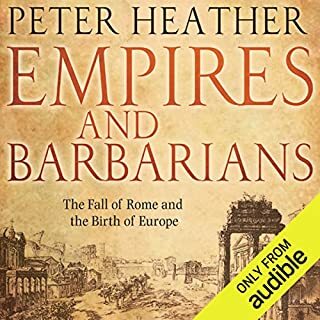 The book, simultaneously more ambitious and complex than his previous work on the fall of Rome, is very thorough in its breadth, but its depth must be worked at more assiduously by the listener. Would you be willing to try another one of Sean Schemmel’s performances? What character would you cut from Empires and Barbarians ? I am disappointed, as I was looking forward to this book. 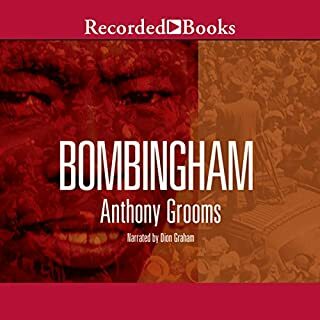 Bombingham by Anthony Grooms is the powerful story of a middle-class black family living in a time of great unrest. Accepting the charge of writing a letter to the parents of a fallen friend and fellow soldier, Walter Burke begins to reflect on the effects that segregation has had on his family and the effect the Vietnam war is having on him. Narrator Dion Graham provides an exceptional reading of Grooms’ unsentimental prose. This is a great "read" (but I'm listening to it from Audible) that brings back so clearly the troubled times of the early 60's. I was the same age then as the protagonist, who grows up quickly in segregated Birmingham, Alabama. I grew up in a lower middle class Pittsburgh, in the North, in a community with mixed ethnicity and mixed reactions to events in the Deep South . While I experienced no marches or police "riots" like he does, I remember the tenseness of our parents in those difficult times, that affected even us, the children. 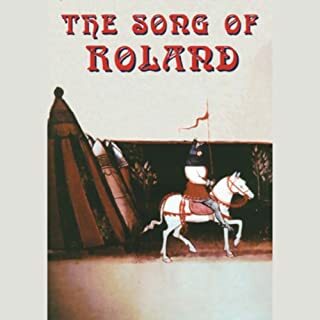 The narrator is wonderful, capturing the diction and accents of children and adults, both African American as well as those who just wanted things to stay the same, some, willing to use violence to keep it so. The choice of voices to match the characters leaves something to be desired, but the sound effects proved to be surprisingly effective as an enhancement to the text. As this is the ONLY recording of this work that is available, then clearly, I can say it is also the best! This one is ALL about the voice. 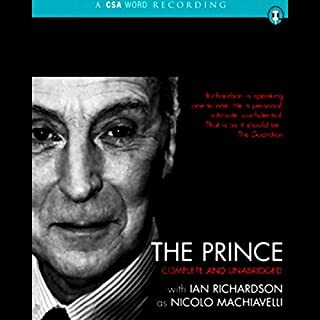 The late and much-lamented Ian Richardson was one of my favorite actors. His reading is a pleasure to listen to while he imparts superb clarity to Messer Machiavelli's thoughts.